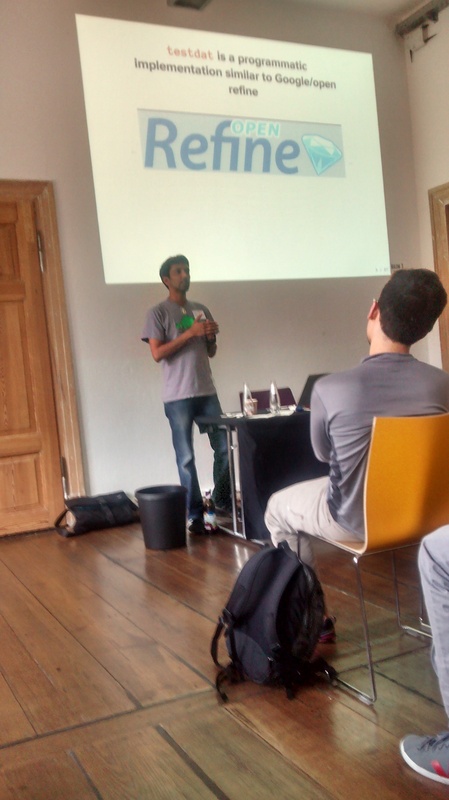 In Berlin last week, a bunch of interoperability geeks gathered for the first csv,conf. Yes, that’s right, comma-separated value files. The conference was about getting stuff done. Data in, data out… With an ironic self-recognition that CSVs are weak in lots of ways, but still the best we’ve got. Jeni Tennison talked about the CSV on the Web Working Group. How can we make a CSV file slightly more useful like a database – types for columns, lightweight standards for metadata? Dragon from ScraperWiki pitched xypath, his Python library for navigating around a grid of cells to turn a spreadsheet into data. You can read our blog post about it. Felienne Hermans said that spreadsheets are really code. So why don’t we do proper software engineering on them? Unit tests, lint checking and coding standards are all possible in Excel. You can find more on her blog. Also… Friedrich Lindenberg on precomputing being easier for data-rich web sites, Peter Murray-Rust on data mining scientific papers, Ingrid Burrington on her field guide to the hidden infrastructure of our data centres, and Brian Jacobs on the state of collaborative knowledge platforms like DBPedia and Freebase. And many more that we couldn’t go to because there were three streams! 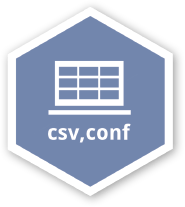 Overall csv,conf was a refreshing change of honesty and action in data. We hear it might be coming to the UK next.